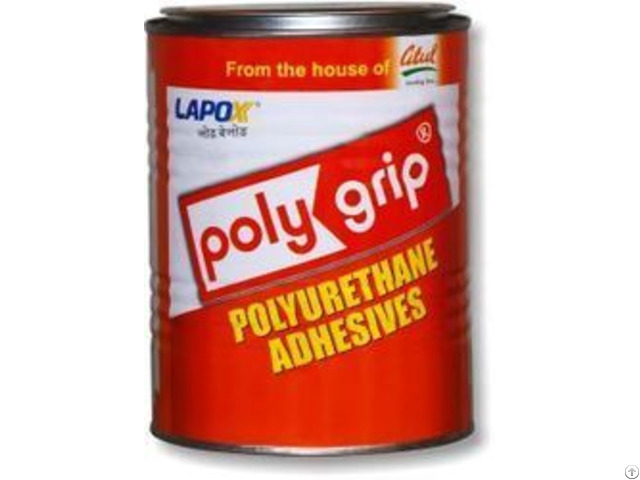 Polygrip S 709 is multipurpose synthetic rubber base adhesive, popularly known as contact adhesive. It possesses outstanding strength coupled with high peel value that makes it useful specially for automobile industries, shoe manufacturing, leather belting, luggage, furniture and mane other industries where material like metal sheet, bonded permanently with high strength to itself or to each other. Useful in Ducting industry. Chemical Composition : - A blend of synthetic polymers and synthetic resin dissolved in to a suitable combination of organic solvents. 30 Ltr, 200 Ltr drums. Apply adhesive on both side the substrates by brush or appropriate machine.Second coat may be required on porous substrates e.g. Leather, which can be given after 5-10 minutes of first coat. Allow a minimum of 20-30 minutes open time. The adhesive after drying exhibit tack. The finger test has proven itself to be a reliable method of judging OPEN TIME, where as the time only serves as a rough indication, as various may occur depending upon room temperature, ventilation, relative humidity, type of substrates etc. In the finger test the adhesive must feel dry but still slightly tacky. The substrates bonded after prolonged open time and in absence of tack may results in inferior coalescence & bond strength. ¢ After appropriate open time ( which is the span between Drying time & Tack retention time, ) bond both the substrates and give adequate pressure on a pressure device. Even though the instant contact bond strength is sufficient to take care of spring back action between sole & upper, the bond strength builds up further in 24 hrs. to 3 days time. Keep tin closed when not in use. Distributor and Wholesaler of Atul Limited, WD 40 Lubricant, Polygrip MP Rubber Adhesive and Polygrip, Lapox Fillo, Lapox Fillo Exporter, Lapox Fillo Supplier, Lapox Gem, Lapox Gem Exporter, Lapox Gem Supplier, Lapox Lapobond, Lapox Marbobond Clear, Lapox Marbobond Hp, Lapox Marbobond Visco, Lapox Multigrip, Lapox Multigrip Exporter, Lapox Multigrip Supplier, Lapox Powergrip, Lapox Powergrip Exporter, Lapox Powergrip Supplier, Lapox Rapid & Clear, Lapox Ultra, Lapox Ultra Exporter, Lapox Ultra India, Lapox Ultra Supplier, Lapogrip Exporter India, Lapogrip Supplier Gujarat, Lapoquick Exporter, Lapoquick Exporter Ahmedabad, Lapoquick Supplier & Exporter in Surat, Gujarat, India. Polygrip S 709, S 709, Synthetice Rubber Adhesive.